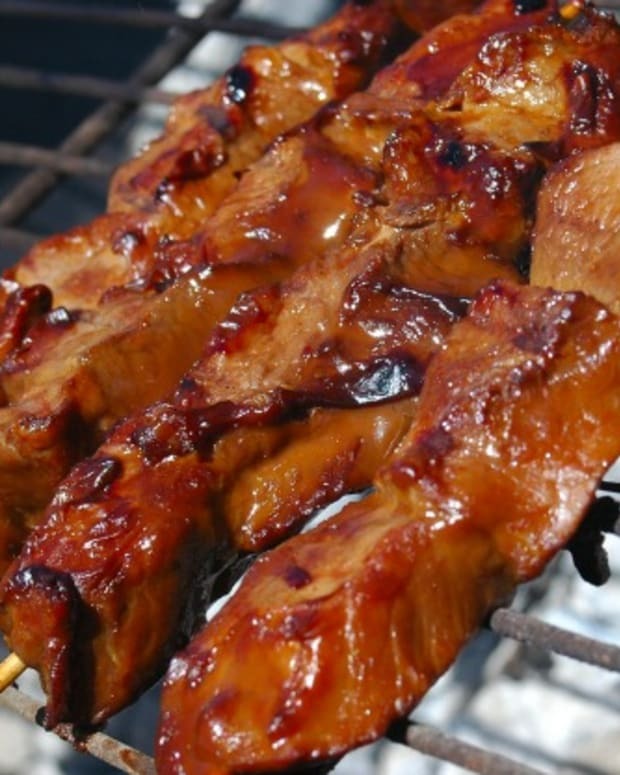 In the Caribbean, food is a fusion of the flavors and cooking styles of many different cultures. The Caribbean, long referred to as the West Indies, includes more than 7,000 islands, such as Puerto Rico, Dominican Republic and Jamaica. 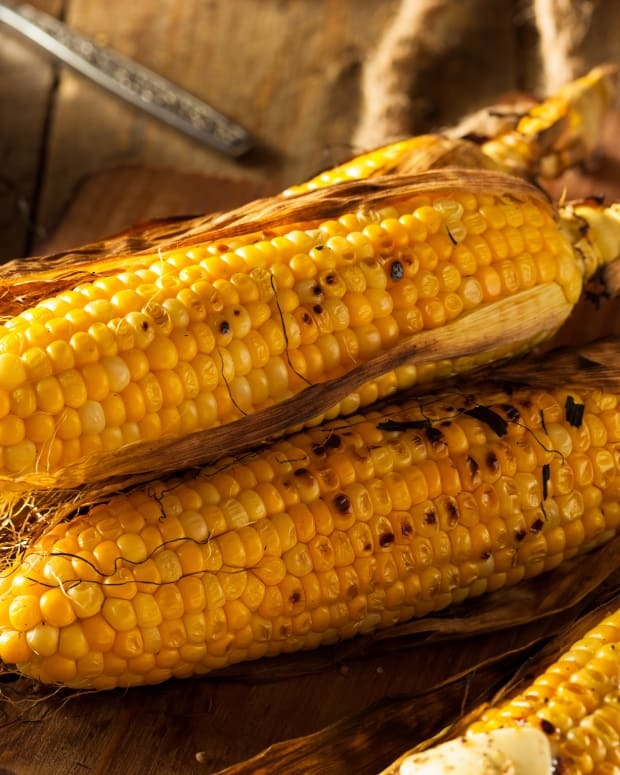 The food of the Caribbean stems from a combination of colonial influences and local ingredients and traditions. In addition, the various islands of the Caribbean have distinct flavors and cooking styles that differ from one island to another. Common ingredients in the Caribbean include rice, plantains, beans, cilantro, bell peppers, tomatoes, sweet potato, coconut and curries. 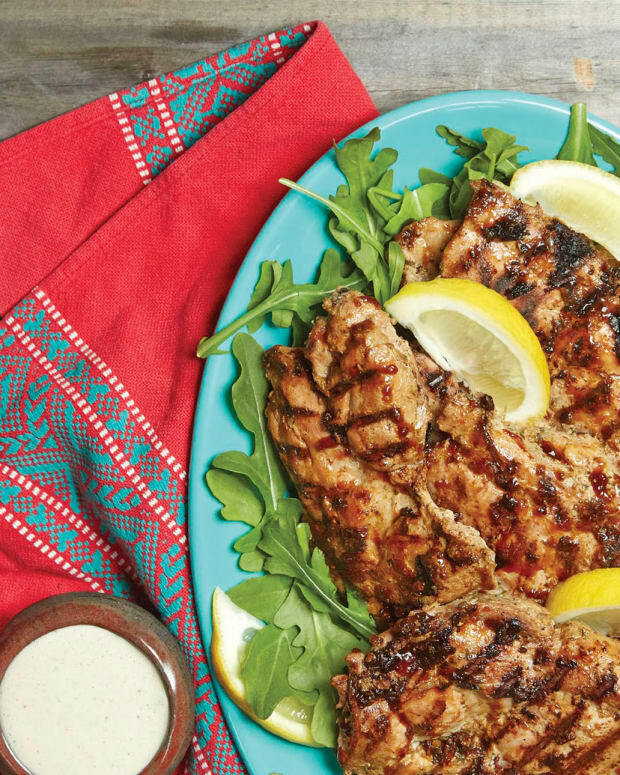 The flavors of the Caribbean lend themselves so easily to grilling and summer eating. 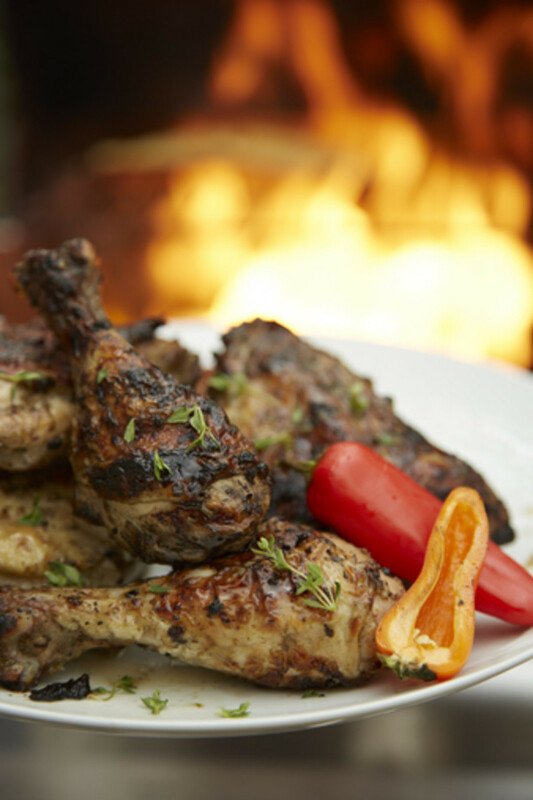 Grilled jerk chicken is out-of-this-world delicious. 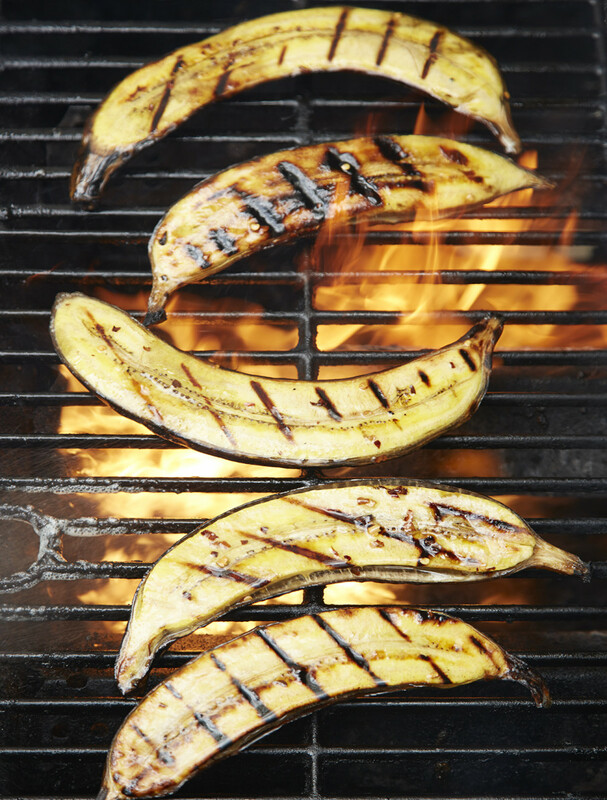 Grilled plantains are something unique, and using the various flavor profiles to marinate tuna, meat and fish make for an unforgettable summer feast. 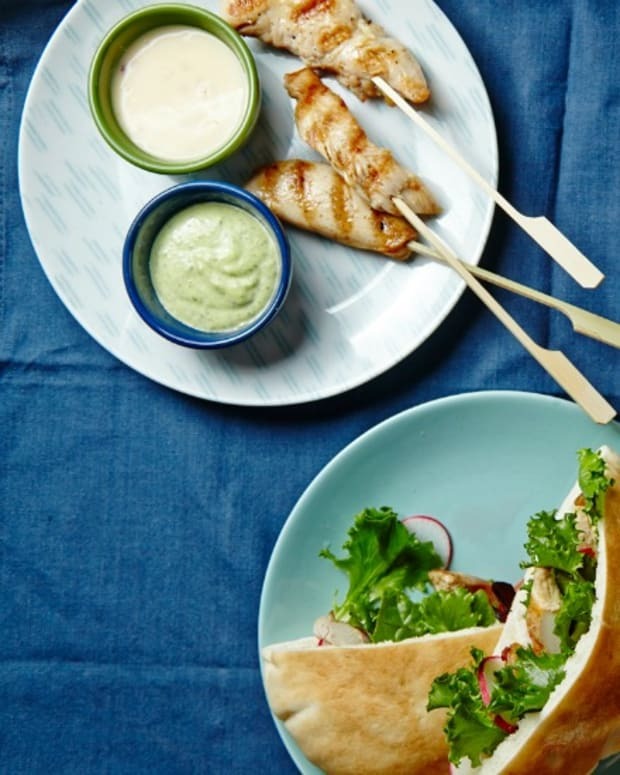 Choose from these vibrant recipes or make them all for your next Summer BBQ, party, or staycation dinner at home. Grilled tuna is incredible. 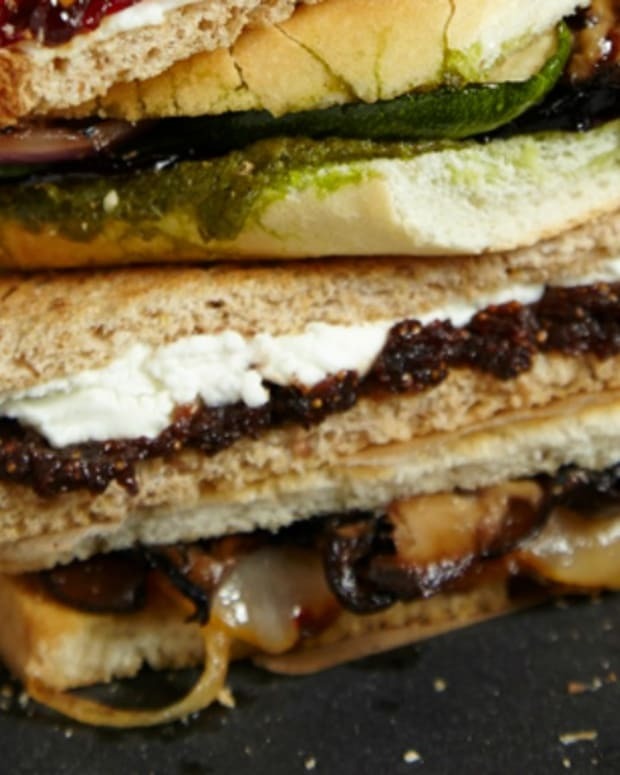 It has a meaty quality, yet is light and full of protein and omega 3. 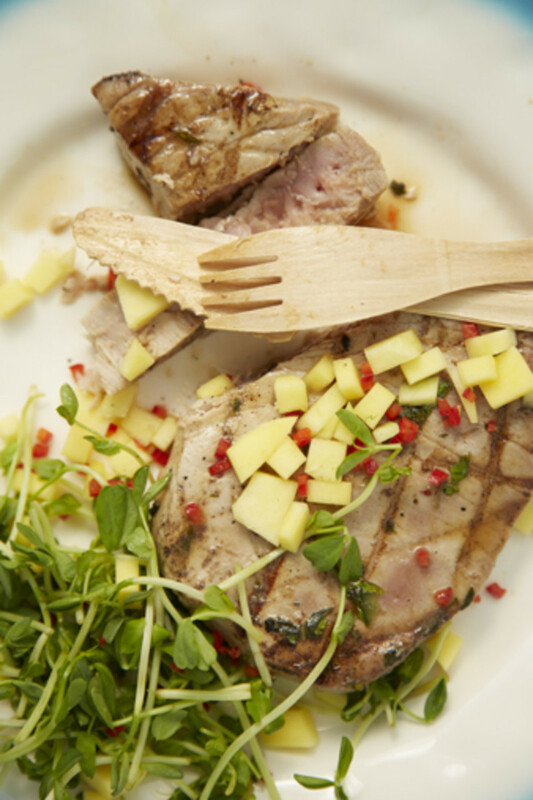 The marinade provides a tropical feel and brightens up the tuna. Tuna tastes best when prepared to a medium-rare doneness, but if you like your tuna more well-done, cook it for 2-3 minutes longer. Tropical Kale Salad This salad will change the way you think about kale. 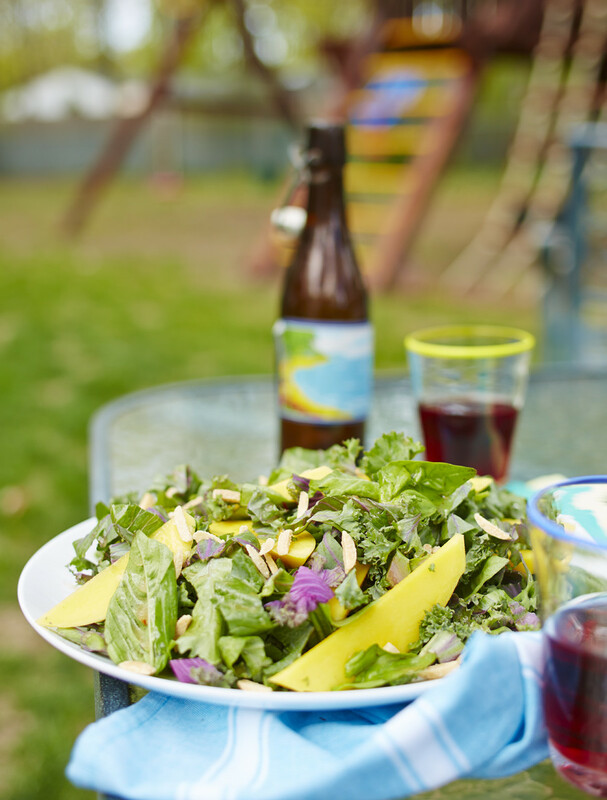 The basil and mango add brightness to this salad and the nuts add the perfect crunch. 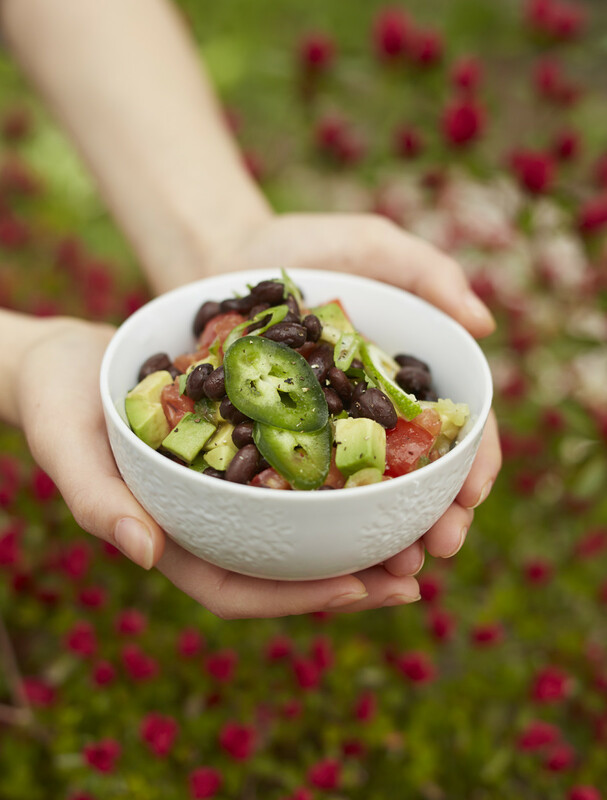 It is really the dressing that takes inspiration from the Caribbean with the use of crushed red pepper and a hint of allspice. As kale is a tough green, it is important to dress the salad a half hour before serving so the flavor of the dressing can penetrate the greens. This is a really awesome technique which draws inspiration from food cooked in a banana leaf. Banana leaves are popular in many cuisines and are used in Puerto rico and the Dominican re- public to wrap around ground bananas and meat. 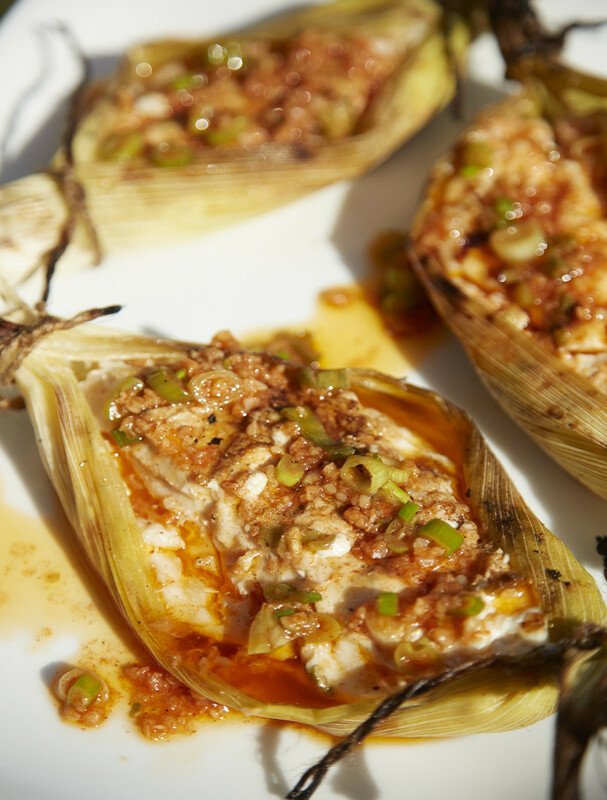 In place of banana leaves, we use corn husks, which protect the fish from sticking to the grill, provide extra moisture, and flavor the fish as well. 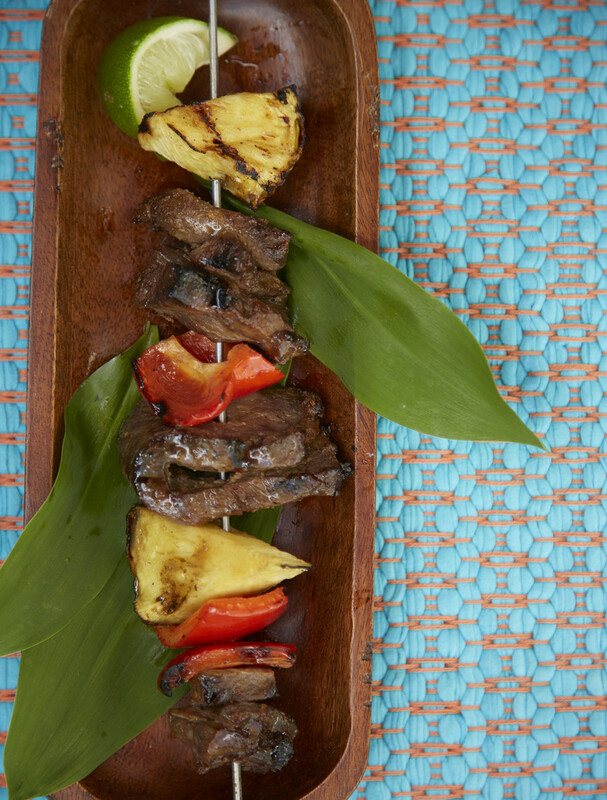 Infuse your steak kebobs with the flavors of the caribbean with the addition of fresh pineapple and teryiaki sauce, yummy!!! Plantains Plantains are a starchier version of a banana and are very popular in Caribbean cuisine. They are a good source of fiber and vitamins B and C. Plantains range in color from green to yellow to black and unlike a banana, need to be cooked. Green plantains are the starchiest and need the most cooking time and can be prepared similar to root vegetables. Yellow and black plantains are sweeter and softer and need less cooking time. Yellow plantains are great for grilling. 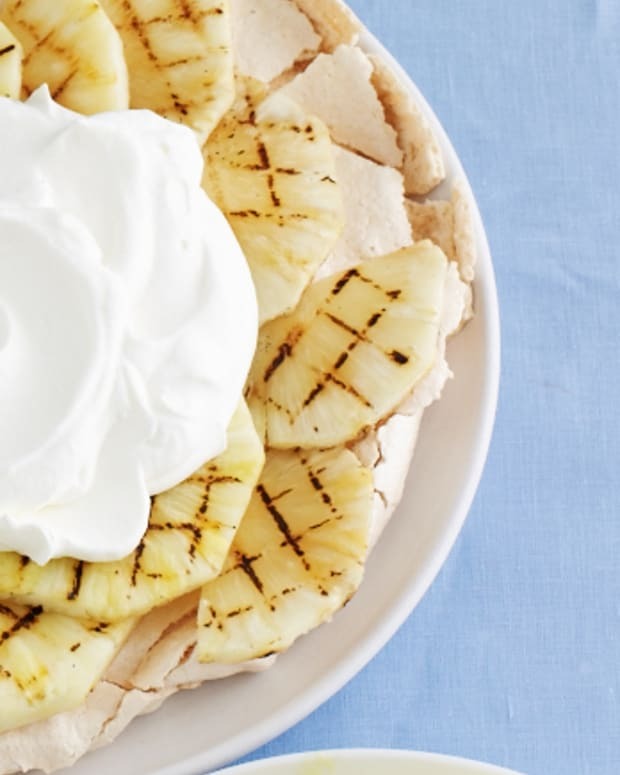 Stay tuned for our Caribbean desserts coming tomorrow. 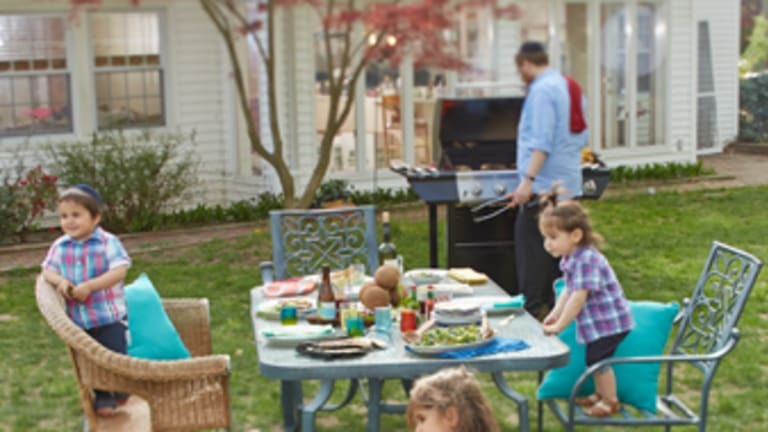 Article published in JOY of KOSHER with Jamie Geller Summer 2013. Subscribe Now.